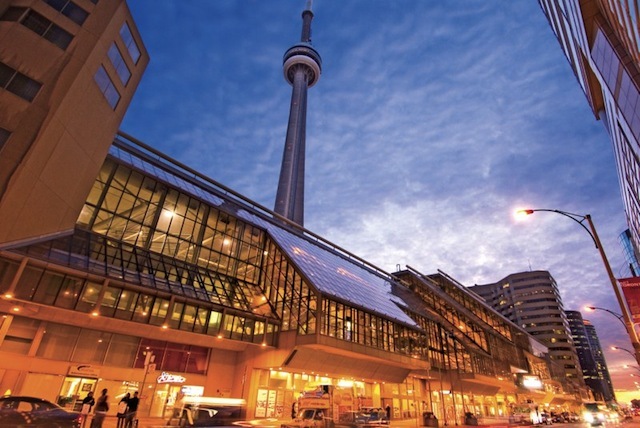 Award-Winning Metro Toronto Convention Centre was voted the #1 convention destination in North America for Superior Convention Services. “Top-of-class service award. First-class venue. World-class, fun-loving city.” And yes, they’ve hosted everything from a G20 meeting to a global AIDS conference to the recent Apple Expo we attended. During the conference, the convention centre’s South Building entrance was blocked by the filming of Total Recall, and loads of extras in stormtrooper-esque costumes were congregating outside of the expo. Views of the CN Tower (where the city’s newest attraction is located: EdgeWalk) can be seen through the centre’s plethora of skylights. South Building: 222 Bremner Blvd.